There have been many apps that claim to save battery life on the iPhone but none seem to hold true to their efforts of pulling extra battery life from thin air. A developer by the name Xvolks has released an app called BattSaver that really does what it says by disabling and re-enabling WiFi and cellular connectivity at the right times. This was made possible in collaboration efforts with Pod2g and MuscleNerd. BattSaver comes with 3 preset settings that you can choose from to better fit your battery saving needs or you can customize your own settings. 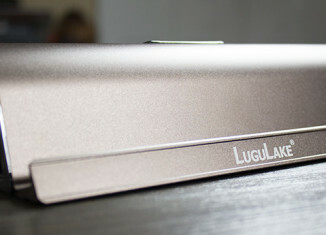 Normal – All radios (Edge,3G,WiFi) are disabled when you put the phone to sleep and back on when you wake it. Every 15 minutes it wakes the radios to get latest email and notifications. Aggressive – Same as Normal plus each 45 minutes it allows BattSaver to wake radios to get latest email and notifications. Disables Edge if WiFi is connected. Disables WiFi if no hotspot is detected. Switches to Ultimate mode if battery is less than 15%. 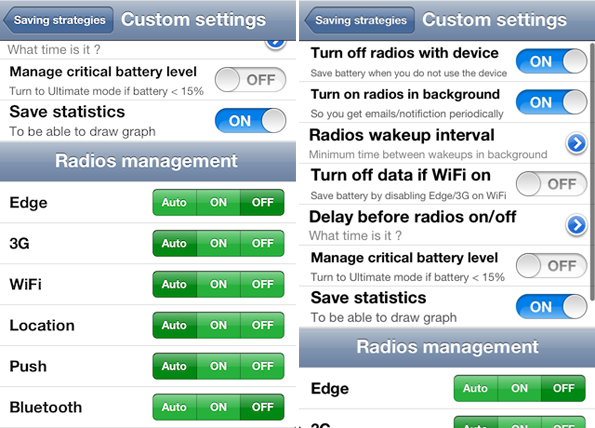 Ultimate – Disables all radios (Edge,3G,WiFi) when phone is put to sleep. Does not re-enable radios when you wake it up. Disables Edge if WiFi is connected. Disables WiFi if no hotspot is detected. **BattSaver will not try to change data/3G if a call is incoming, outgoing, or you are in the middle of a call. It also waits a few seconds before turning radios off and on.